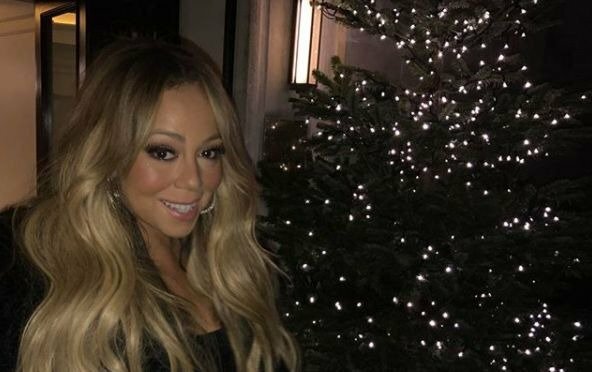 When it comes to Christmas songs, this Mariah Carey classic is always a favourite. Mariah Carey's hit single, 'All I Want For Christmas', is climbing up the charts in America - despite being released 23 years ago. The 1994 classic snagged the number nine position in the Billboard Hot 100 - jumping two places from last week. The song enjoyed more than 25-million streams in the US for the week ending December 14. It also saw 19,000 downloads sold in one week. 'All I Want for Christmas' is Mariah's 28th top 10 single in America. She is now tied with Stevie Wonder for the fifth-most Hot 100 Top 10s - behind Michael Jackson, Rihanna, The Beatles, and Madonna respectively. The last time Mariah had a Top 10 single on the chart was 2009. 'Obsessed' peaked at number seven.